Create the vibrant colours, motifs and designs in ceramics from Pakistan. The course is divided into two parts. 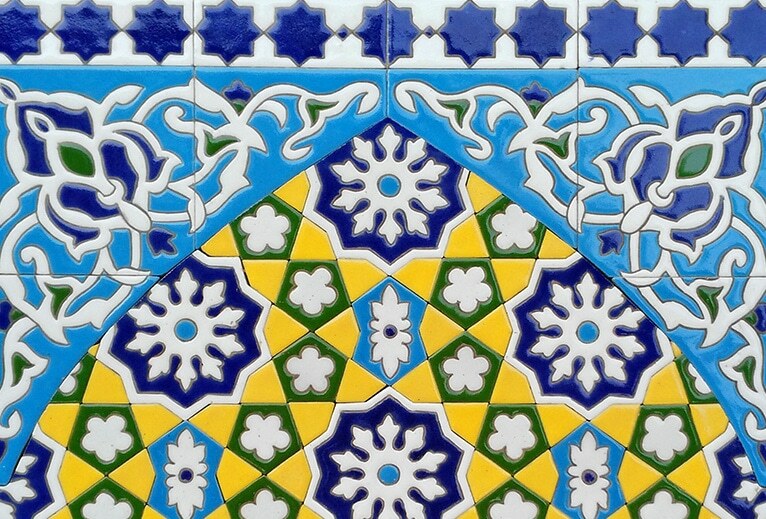 During the first half, students will be introduced to the methods and materials needed to design and decorate tiles using traditional motifs in the Kashikari and Cuerda Seca styles. Students will make glazes from raw materials, including ceramic oxides and powder stains. Students will also learn about initial and firing binders in glazes in colours, and have the opportunity to fire several test tiles. The second half of the course will be focused on design. Students will learn about common motifs, including floral/foliate forms, geometry, and calligraphy. Students will transfer their chosen design onto a ceramic surface, and decorate the design with glazes. In addition to several fired samples, leading to a final piece, students will leave with a deeper knowledge of the processes behind this craft. This course is part of the Bagri Foundation Open Programme at The Prince’s Foundation School of Traditional Arts, which aims to develop Asian arts courses at The School. Traditionally in Islamic culture and history many calligraphers practised music and vice-versa. In the literary tradition of the art of calligraphy we have many quotes that explain or imagine calligraphy as visual music; however, these refer mostly to poetic imagination. This lecture proposes a study of these two artistic domains in order to present the elements through which we can analyse this “visual music”. For the artist, an awareness of the musicality inherent in visual forms can open the door to new ways of creating visual compositions, as well as enrich the lens through which we look at calligraphy – translating sound into a visual harmony and vice-versa.